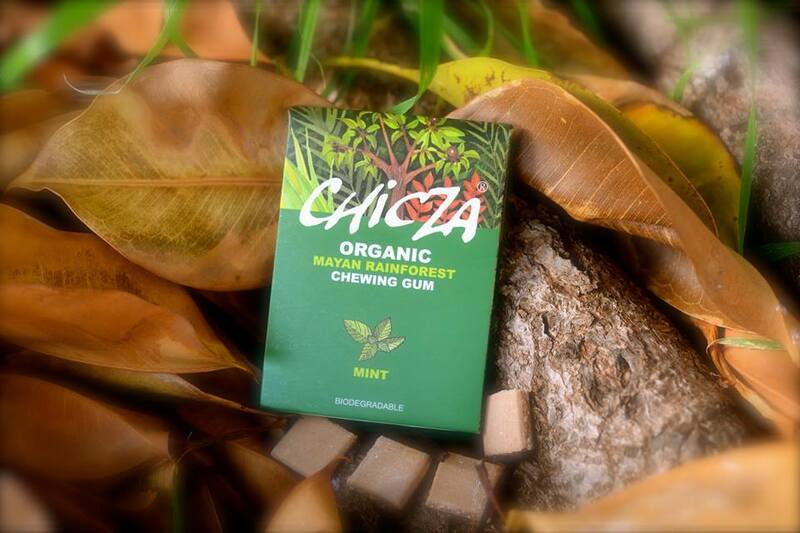 Chicza is the only 100% natural, certified organic, full biodegradable and sustainable chewing gum ever made. Chicza comes from the Mayan rainforest, rediscovering ancient Mayan traditions to produce gum from the living Chicozapote tree. Getting back to our natural roots, Chicza rediscovers the ancient Mayan traditions and produces chewing gum using 100% chicle. Chicle is a natural gum extracted from tall Chicozapote tree. Simple as it sounds, only natural ingredients and processes, the resulting product is a rare exception in the mostly artificial world of chewing gums, the majority of which carry no more than 5-7% of gum base, if any at all - the rest is plastics. Vast extensions of tropical rainforests in southeastern Mexico merge into those in Central America to form the Gran Petén, the second largest rainforest in the world. Unlike other regions of Mexico, where up to 80% of the original jungles have been lost to logging, cattle ranching and agriculture, these rainforests have survived and thrive, covering almost 800,000 hectares in the states of Quintana Roo, Campeche and Yucatán. Chicle is extracted from 100 ft. tall Chicozapote trees by making z-shaped superficial cuts on the bark, which zigzag down to a bag placed at the base. Dripping sap slowly fills the bags. Each tree renders around 3 to 5k per harvest and then it rests from 6 to 7 years before the next harvest. Trees are not harmed by this practice. Some of them are more than 500 years old. 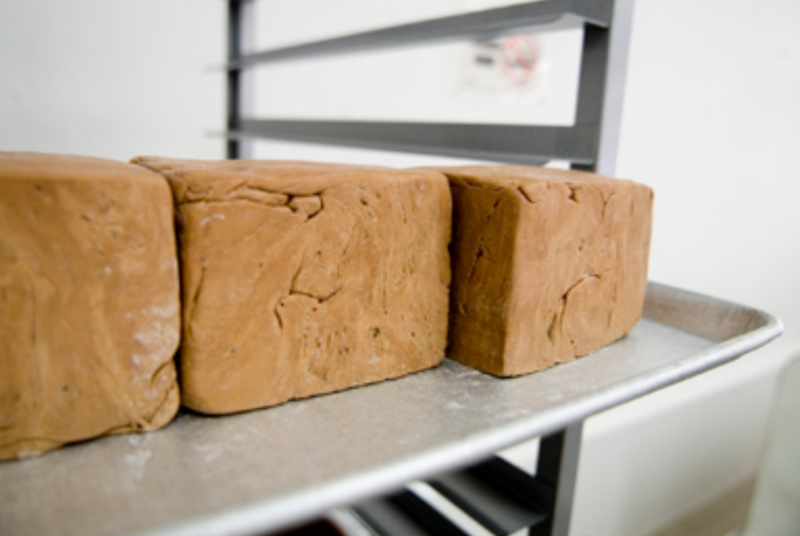 Chicle is extracted from the trees, then boiled until sticky, and finally kneaded and shaped into rectangular bricks called marquetas. 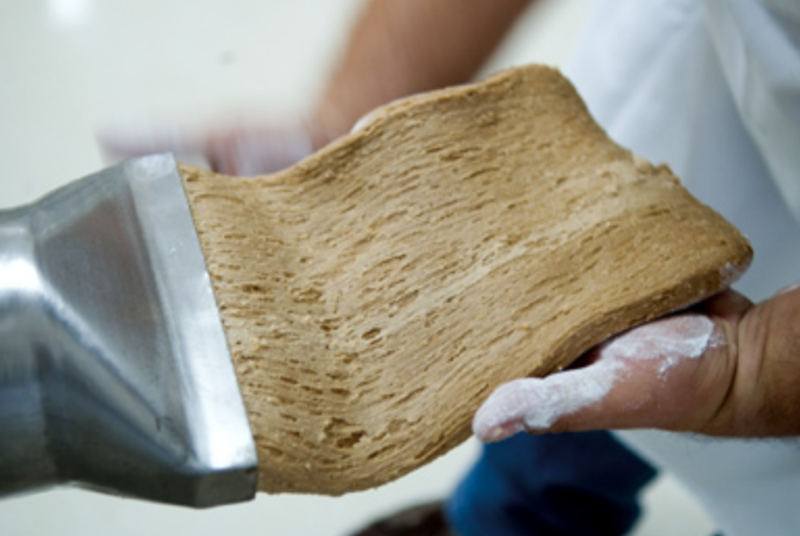 They are melted together with natural waxes before it becomes gum base. Still hot, the gum base is mixed with organic sweeteners (among them, the always healthy, low glycemic index agave syrup) and natural flavors, then pressed and shaped into chewing gum strips. Most mass-produced chewing gums use artificial, petrol-based polymers as substitutes for natural chicle. Conventional gum brands mask a long list of synthetic ingredients in the catch-all term "gum base", but their main ingredients include polyisobutylene (a petroleum based rubber used to make the inner tubes of tires) and polyvinyl acetate, more commonly known as “white glue”. To this inorganic plastic goo they add artificial flavors, colors, preservatives, and a cocktail of sweeteners. Organic & Full Biodegradable Gum Base (100% Chicle) + Organic Agave Syrup + Organic Evaporated Cane Juice + Organic Glucose + Organic Flavor. Contains naturally occurring biodegradable latex.